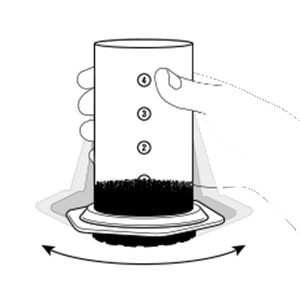 The AeroPress is the invention of Alan Adler, a renowned inventor and retired Stanford University engineering instructor who invented many cool products including the Aerobie Pro flying ring, which set a Guinness World Record for the longest throw. In 2004 Alan began studying the coffee brewing process and analyzing coffee maker designs in order to create a truly innovative device that would brew a superior cup of coffee. 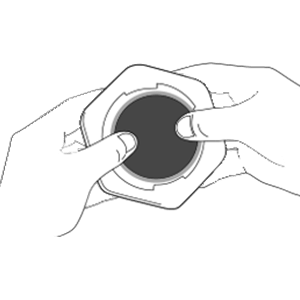 At a coffee industry trade show in November, 2005, Aerobie debuted its breakthrough AeroPress coffee maker. 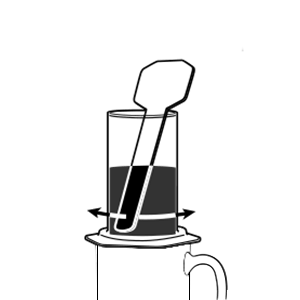 The AeroPress works through similar principals to a hand espresso maker. The brewing extraction is created through lower water temperature and high pressure. 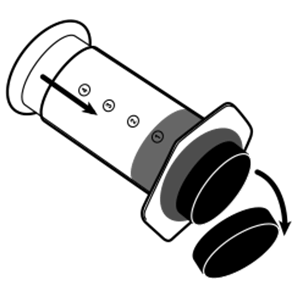 Push plunger out of chamber. Put a filter in the cap and twist the cap onto the chamber. 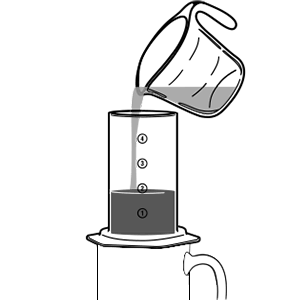 Stand chamber on a sturdy mug and put 1 scoop of fine drip grind coffee in chamber. 2 Scoops for double batch. Remember to additional water at Step 5. Give chamber a shake to level the bed of coffee. Add 175°F (80°C) hot water to Level 2 on the chamber. For a double batch (two scoops of coffee) pour the water to level 4 in the chamber. Stir 10 seconds. With the AeroPress paddle or spoon. Insert plunger and press gently for 20 to 40 seconds. Remove cap, push plunger to eject used coffee and rinse rubber seal.